Lazies, Becca Bags is a perfect canvas for embellishment due to her clean simple design lines and construction. Here I’ve combined a beautiful ribbon designed by Sue Spargo for Renaissance Ribbons, with some awesome solids and a zip. Read on to find out how easy it is to incorporate ribbon in this design. 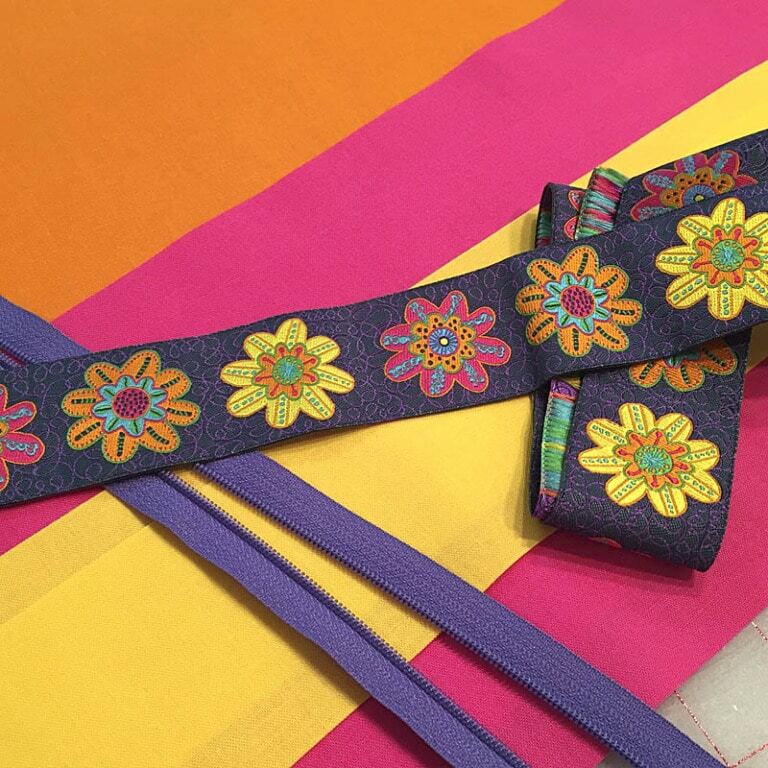 I totally fell in love with this ribbon for its playful and colorful personality. I have to say, my photography does not do it justice. Hop over to the Renaissance Ribbons website here for a much better pic. 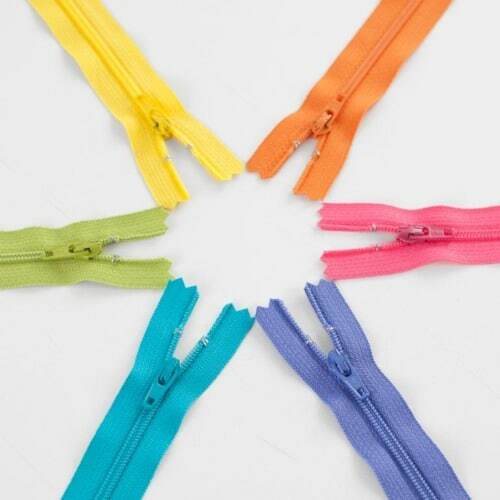 Decide on your ribbon embellishment, then pull fabrics and a zipper together to compliment. 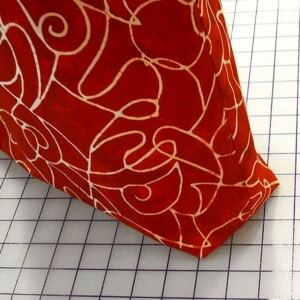 Tip: Think of the ribbon as the feature fabric for your project. It’s just a little quantity, but it’s visually strong enough to give direction for the rest of the project. I pulled these yummy fabrics from my Kona cotton stash and added an Atkinson Designs zipper/pull. 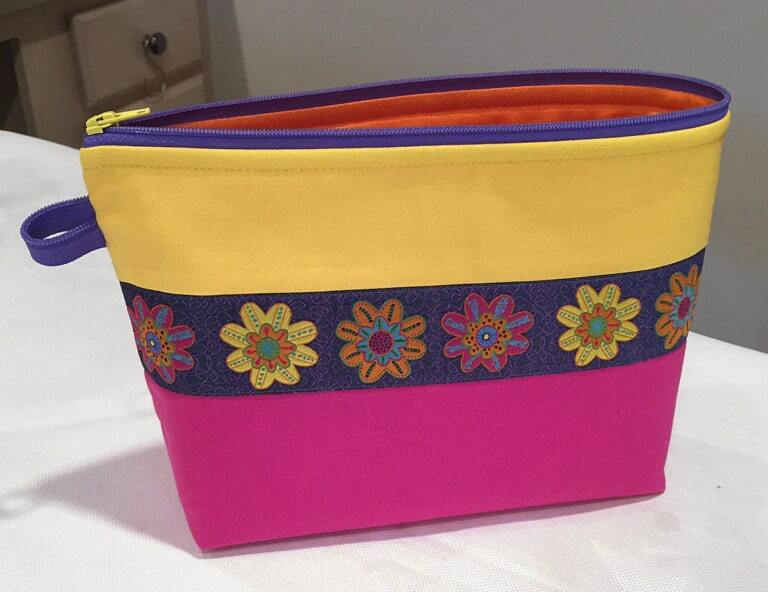 I totally had to go orange on the lining fabric – I love how it looks with the purple zipper. Piece the top band and bottom band of the large Becca, omit the flange. 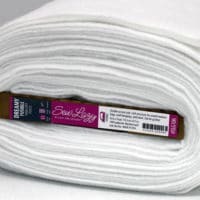 Fuse the fabric to the fusible fleece. The ribbon is 1 1/2″ wide and makes a statement. It’s the showpiece on this Becca. I could place it on the yellow band, the pink band, or straddling the two. Any of these options means I have to be careful in getting the ribbon straight across the project. 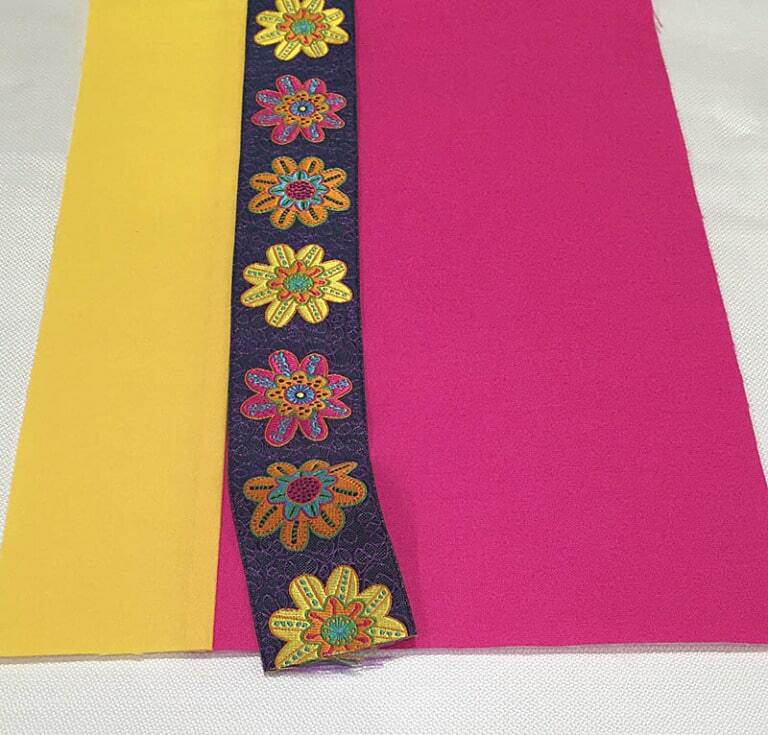 Use the seam at the pink/yellow fabric as a guardrail – snug the ribbon right up to that seam and topstitch in place. Doing so means I absolutely put that little cutie on straight across the project – sweet! Use a coordinating thread and a fine needle, 70/10 or smaller, to machine stitch the ribbon in place. Stitch through all layers along both edges of the ribbon. Stitch right on top of the ribbon. 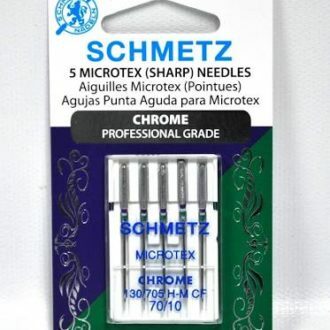 Ideally, stitch in the same direction along both edges to ensure a smooth finish. Snug the ribbon against the seam for perfect alignment! 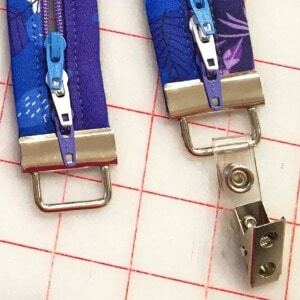 Tip: if you have a bit of double sided sewable tape, add a piece to the fabric, then position and place the ribbon. Don’t put the tape directly on the back of the ribbon because of the exposed woven threads. You want the tape on your project, then arrange the ribbon. Then simply construct Becca as per the pattern. A little ribbon or trim goes a long way on this design. 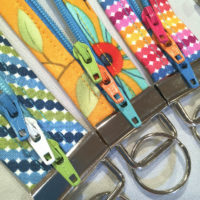 Check out all of the amazing designs at Renaissance Ribbons. They offer hot, trendy, elegant, styles from many of today’s top designers in the quilt industry. Be sure to keep up with Renaissance on Facebook here and here. 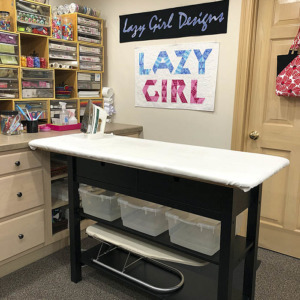 And if you are going to Quilt Market in Salt Lake City later this month, stop by and see my friend Edith at her booth and check out all of their amazing samples. Shop owners – ask Renaissance about their trunk shows! Do you have a ribbon stash? I do. I’ve been collecting all types of ribbons over the years. 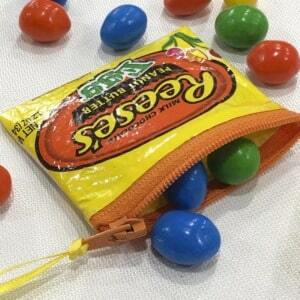 I use small ones tied to zipper pulls. Wider ones for embellishment or to attach purse handles. 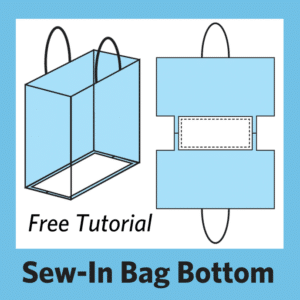 Buy the Becca Bags pattern store. 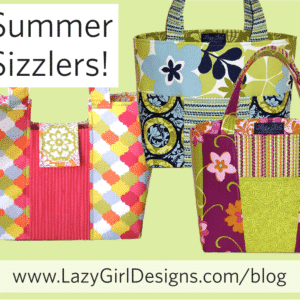 Next Post » New Craftsy Class Giveaway!